The Mamacita Mexican International restaurant and Bar at the Wyndham Resort at Denarau Island was abuzz on Christmas Day. It saw a full house with tourists and locals, both adults and kids all tucked themselves into a buffet lunch. There was a large spread of cold cuts and salad, soup, roast, mains and mouth-watering desserts. It went very well with the entertainment performed by the special Pacific island show. If you are looking for something similar then don’t miss out being at Mamacita as it will host the New Year’s Eve buffet dinner. The night will have the Polynesian fire dance “meke show” with live band till late. Restaurant: Mamacita Mexican International Restaurant at Wyndham Resort (also available at Suva’s Damodar city). Experience: Mr Goundar started in the culinary industry after completing his cookery course at FNU (formerly TPAF). He spent three years at the Chefs Seafront Restaurant (formerly at Wyndham Resort) as a Demi chef then moved on for a three months stint at the Malolo Island Resort. Mr Goundar spent another three years at the Raffles Gateway Hotel as an assistance Head chef, two years with Rock Café Fiji. He moved on as a Sous chef at the Mana Island resort and Spa. For the last 2 years he has been looking after at Mamacita, (Denarau/Suva) and also Saffron (Suva). Background: Ethnicity: Indo Fijian descendent, born and raised in Malolo in Nadi. Meal:Chicken Burrito (a grilled flour tortilla parcel drizzled with coriander oil and served with sour cream, guacamole, tomato salsa and garden green). 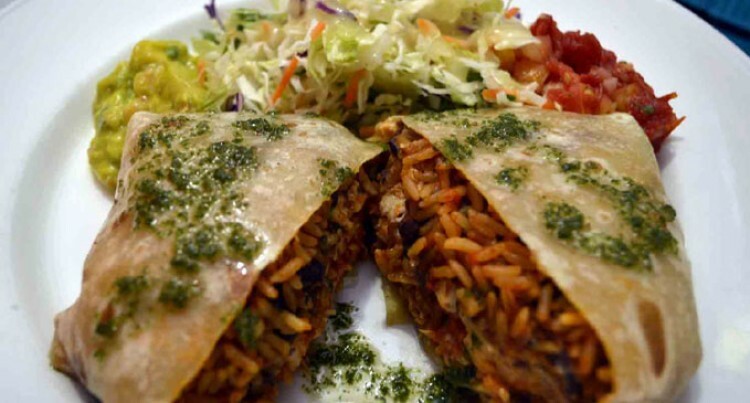 – Fill the parcel with Mexican rice, refried beans, sour cream, then place chicken strips. This Mexican dish goes very well with margarita.